As many of you regulars know, I love me some Wendy Vecchi goods, but I also think the lady herself is wonderful! She is kind, generous, gracious, knowledgeable, creative, inventive, and wonderful to talk to! 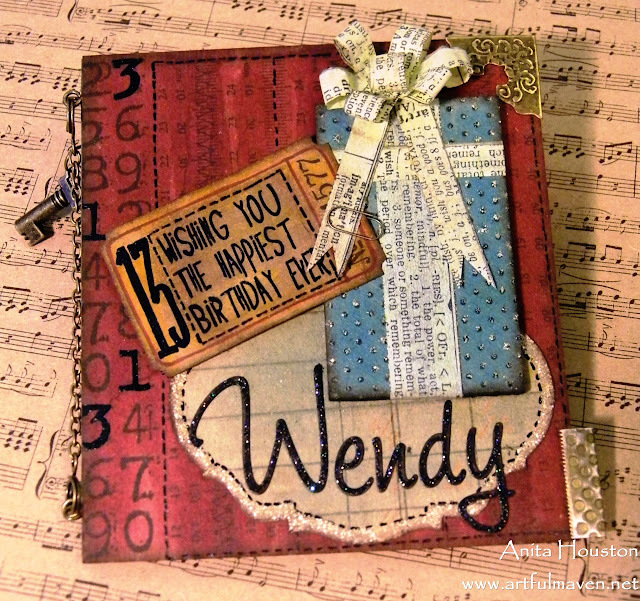 Today is her birthday, and this is the card I made for her, which is also what the #55 Making Art Challenge is all about at the Everything Wendy Vecchi Yahoo Group. I hope she likes it! It's a little daunting making something for a Master! Wow beautiful card. Gorgerous colours and all elements. 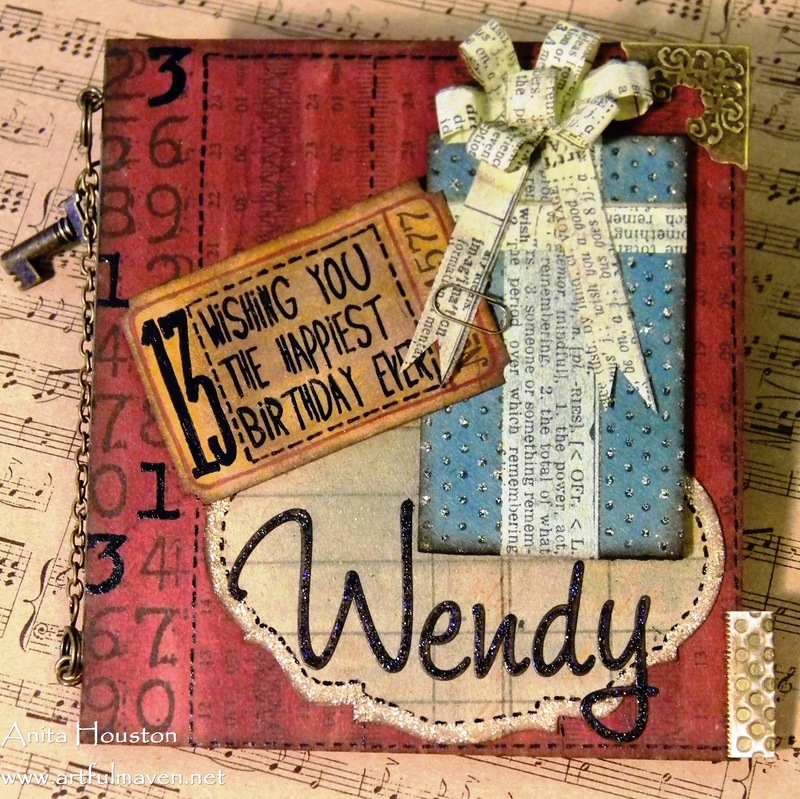 This is great idea for the card of birthday especially I like the idea with ticket it so great. I ove that card. The card is so fantastic that it isn't possible to take eyes away from it. Very cool! I especially love the tissue tape bow! What a great card. 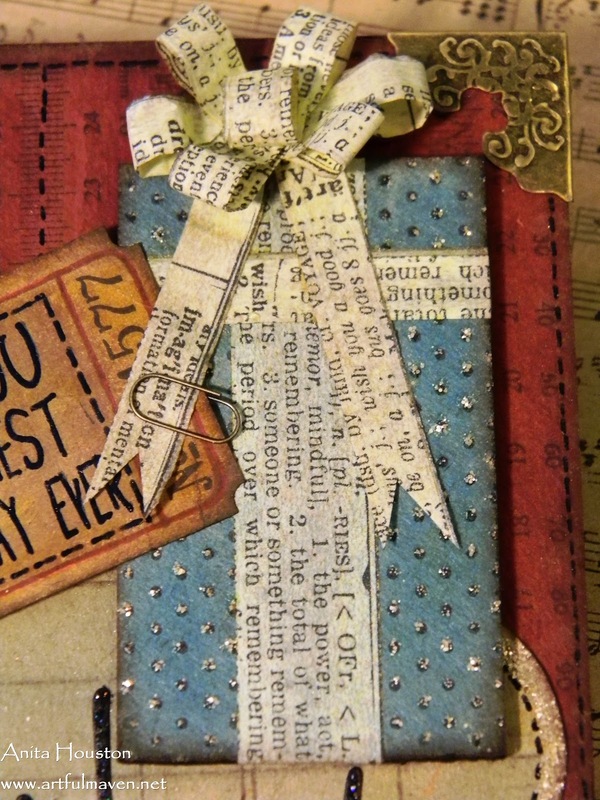 I am loving that tissue tape bow! I think Wendy will love this, Anita. it's so creative and fun...a gorgeous piece of art. 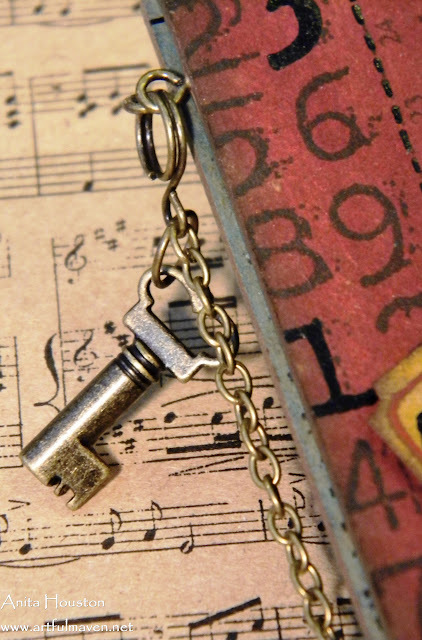 Love the design with the eyelets, chain, and jump rings. The present with that amazing bow and ticket is awesome. Every detail complements the others beautifully. Delightful! It's stunning Anita, Qendy can't but love it! I totally love the idea of that paper bow, very clever!! Awesome card ! 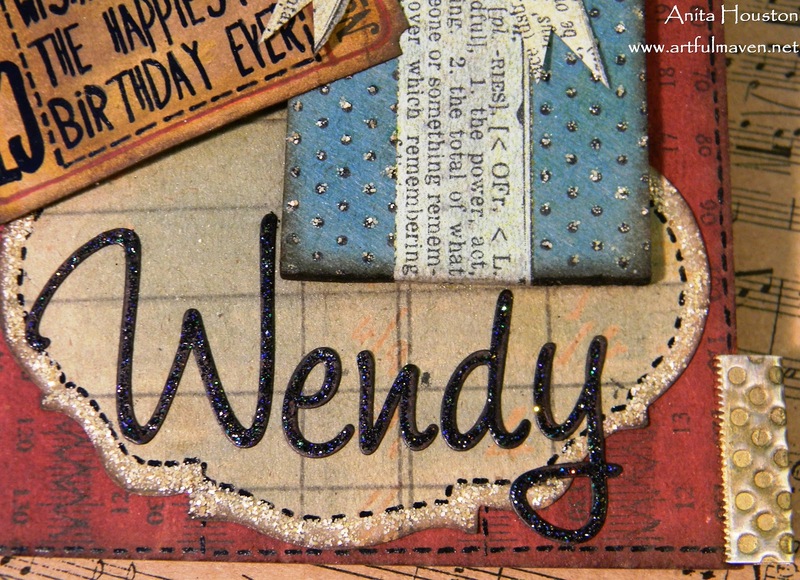 Happy Birthday Wendy ! A wonderful project, looks really fabulous. How could she not love it?! The stamping is glorious (for some reason I especially love the back!!)... and that architectural bow on the gift is a complete showstopper!! 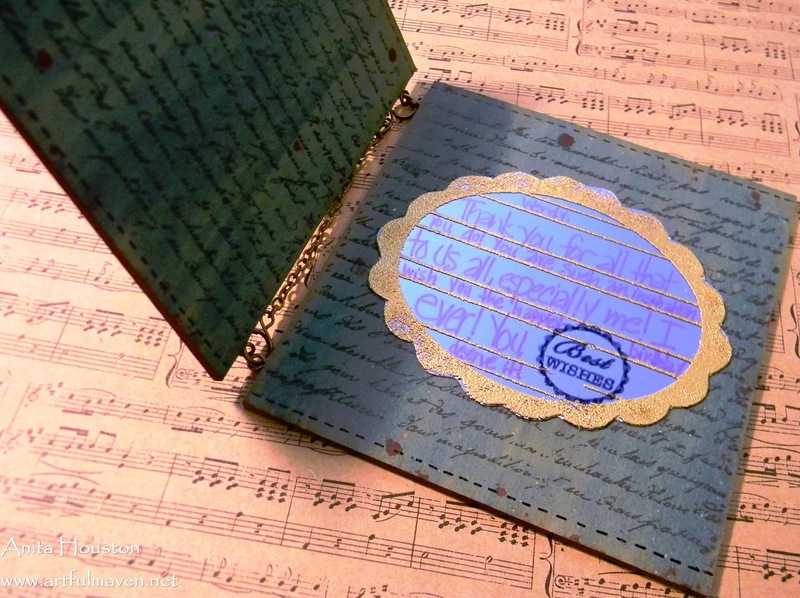 A beautiful keepsake that Wendy will love. It is stunning Anita . This is fabulous! Love your attention to detail! Wow! Great card! Wendy will certainly love it. She must have been thrilled... what a SUPER use of product and techniques... love your tissue bow! What a treasure! Love it and all the details. That bow is incredible. I love the way you used the ticket to write the sentiment on the front and the use of the corners. 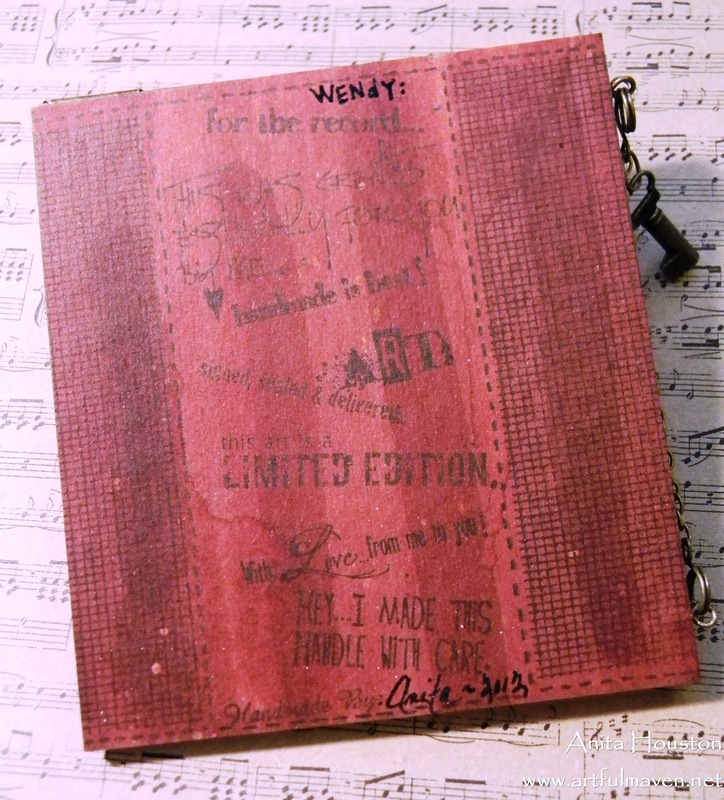 Wendy is so inspiring as I am sure she loves it.